For naturally shiny hair and a healthy scalp. Sometimes it isn’t just the skin on our faces or bodies that need an extra moisture hit, but the skin on our scalps too. Harsh shampoos and conditioners can often strip the skin of essential oils. Revitalising Hair and Scalp Tonic helps replace these oils, therefore balancing the skin and leaving hair shiny, healthy and manageable. 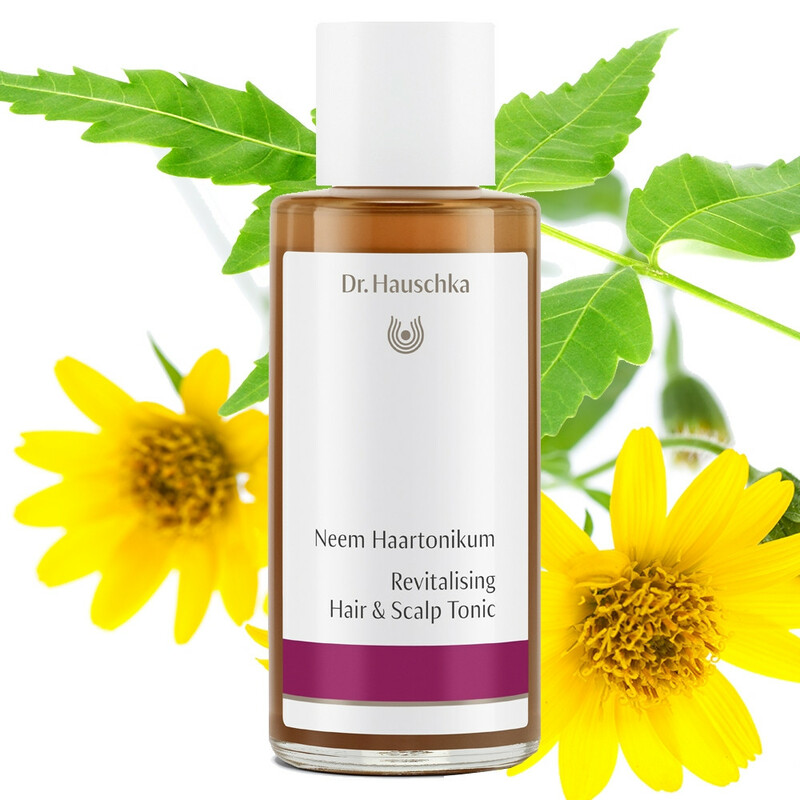 This Scalp Tonic will increase your hair’s defences and leave it tangle-free as it balances your scalp. For use on oily or dry conditions. Crafted using Neem Leaf which will reinforce fine hair, reducing breakages. Arnica and Birch Bark, Rosemary, Borage and Horse Chestnut, all of which support hair’s natural regeneration. For men and women. Hair Type: Perfect for any skin and hair type. Application: Massage Revitalising Hair & Scalp Tonic into damp or dry hair and scalp. Part hair and distribute a small amount of Revitalising Hair & Scalp Tonic evenly over the scalp. Gently massage lotion into the scalp with fingertips. Do not rinse. Apply more generously to help control frizzy hair. Matching Products: Use alongside Nourishing Hair Conditioner for healthy, manageable hair. Ingredients: Water (Aqua), Alcohol, Melia Azadirachta Leaf Extract, Urtica Urens Leaf Extract, Arnica Montana Flower Extract, Betula Alba Bark Extract, Calendula Officinalis Flower Extract, Aesculus Hippocastanum (Horse Chestnut) Seed Extract, Borago Officinalis Extract, Arctium Lappa Root Extract, Fragrance (Parfum)*, Linalool*, Limonene*, Geraniol*, Coumarin*, Citronellol*.